After my duathlon in Gravenhurst, the rest of the year was all about managing my foot injury, and since I love racing, I was relegated to Swim/Bike races, and relays where I could team up with friends to run for me. 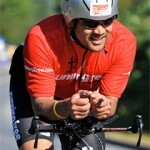 The only running I’d do would be for Ironman Mont-Tremblant and Kona. I’d find a way to dig deep and endure the pain of running for those two events. This was a great way for me to get in some swims too, since I was not doing much of that either due to my wonky shoulder. Here is a brief rundown of the results from the 2015 season. I started the bike in 6th, and rode strong to first. I finally got my Garmin pedals working properly, but now the issue was that some muck got into my cleats and I could not clip into my pedals. So I essentially rode the entire way just mashing down on the pedals. No pulling up on the pedals today. So those power stats would be incorrect too. Had a challenging swim in the choppy St. Lawrence (but I considered that to be good prep for Kona). I started the bike in 10th and rode strong to get into 5th overall. It was also super cool to be racing with 4 athletes that I coach. Congrats to Caroline, Leah, Susan, and Doug, who all had great races. Sharing a chuckle with John Salt about my horrible swim – Mike Cheliak on the spot again to capture the moment. Started the bike in 17, rode to 7th overall. Did not finish. Thanks to crazy stormy and extreme windy conditions, disc wheels were banned and I did not bring an extra set. My partner Troy did the first run and I had to break the news to him that I could not find someone to lend me a set. We will get them next year Troy. Congrats to Hong and Jason for getting 3rd. Running after Troy as he heads into T1.